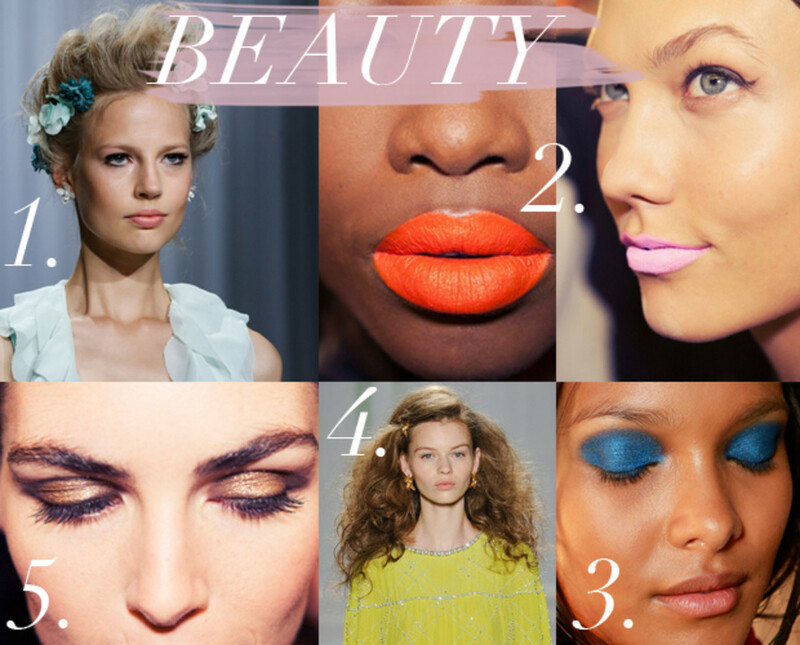 Seeing designers&apos; visions come to life is so inspiring, and this spring/summer 14 season was no different. 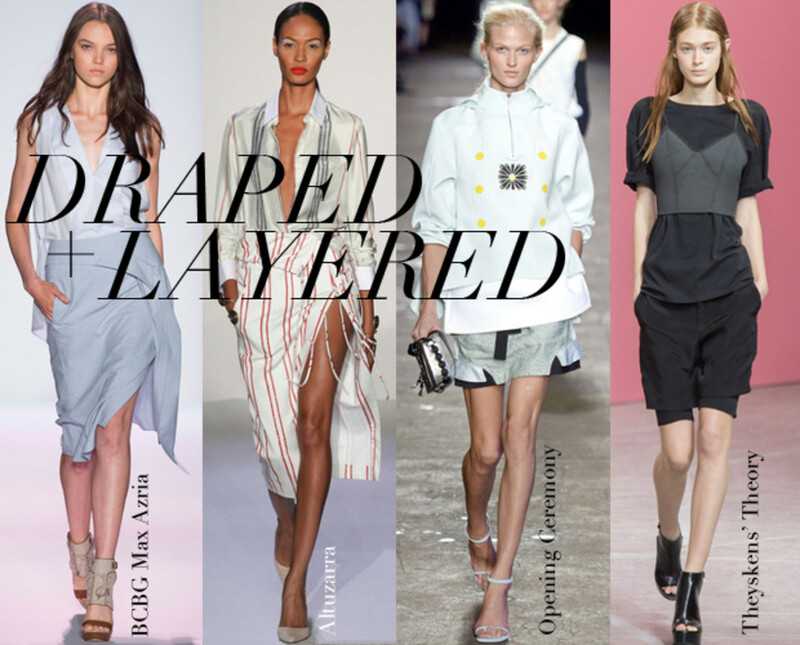 As always, there were some noticeable trends that emerged throughout the different shows, and here are some of my favorites, including some links to older posts showcasing ways I&apos;ve incorporated these looks. This season there were a plethora of Barbie-esque hues to choose from, but I really felt the lilac. From Wes Gordan&apos;s romantic light lace to Prabral Gurung&apos;s sateen sheen structured dress, the violet tone was given a serious facelift. Clearly, the decade that shined brightest on the runways was the &apos;90s (see Alexander Wang and Rag & Bone to name a few). 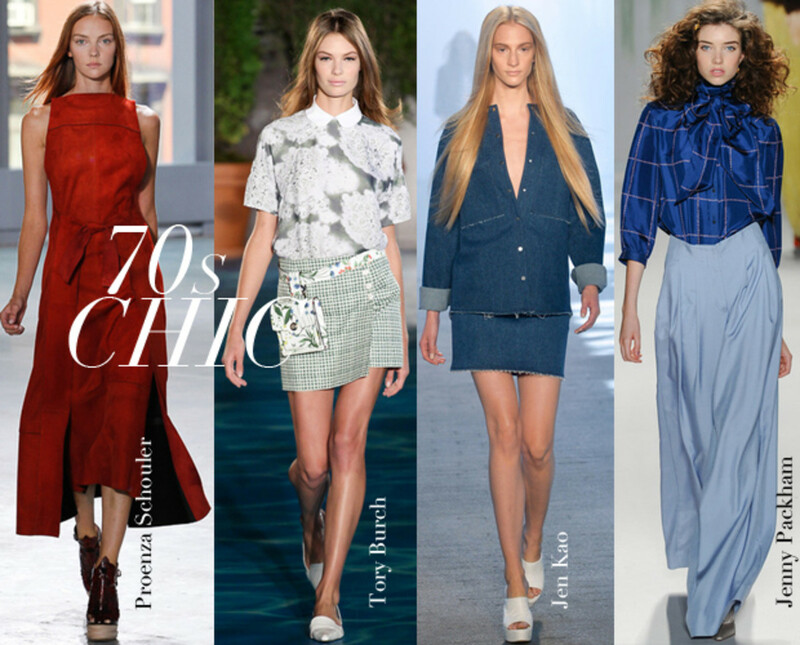 But the era I noticed in a more subdued way, felt very &apos;70s-chic. 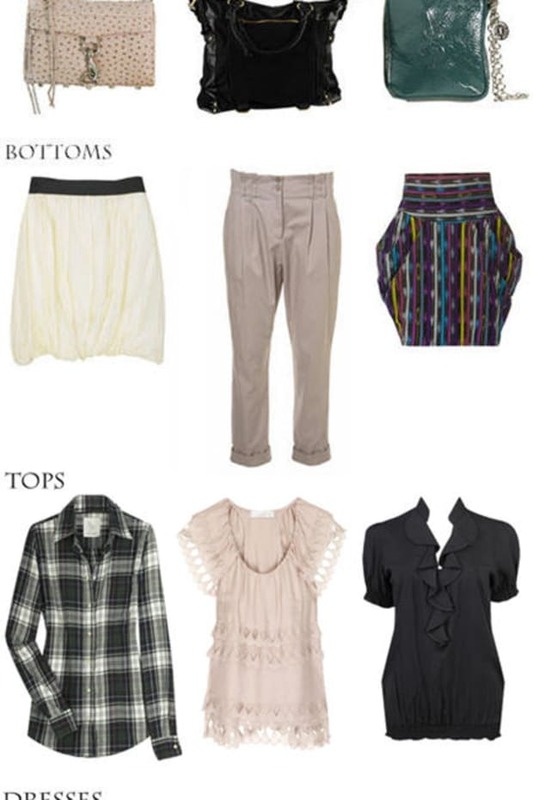 I was drawn to the center parts, platform shoes, and voluminous pants that were in heavy rotation. 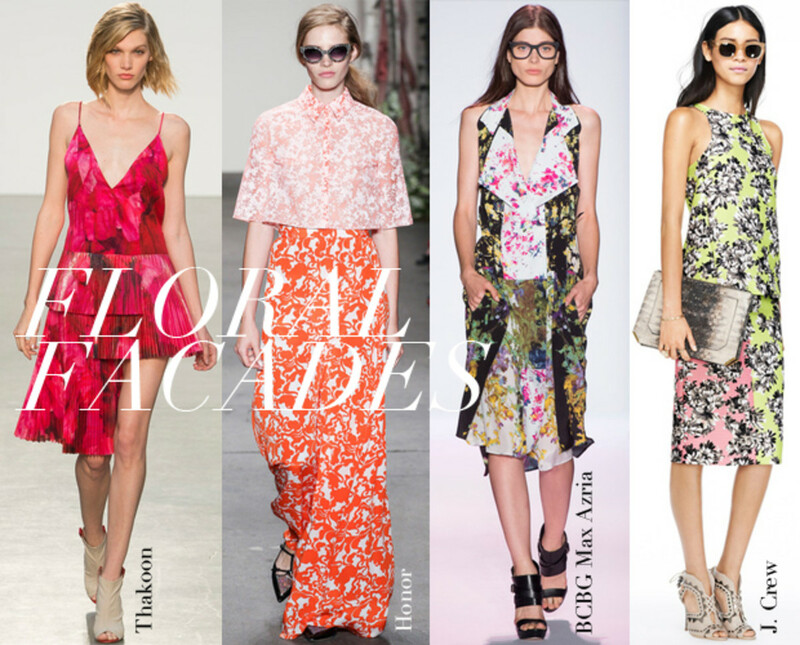 I&apos;m an easy sell when it comes to florals and this spring, they have staying power. The patterns have more dimension and strength than the romantic florals we&apos;ve seen in previous seasons. I loved the architectural silhouette pieces paired with blossoming textiles for a completely modern look (see Thakoon&apos;s dress above). A classic, crisp white shirt is nothing out of the ordinary. This season there&apos;s a new take however, which almost every designer brought to the table. 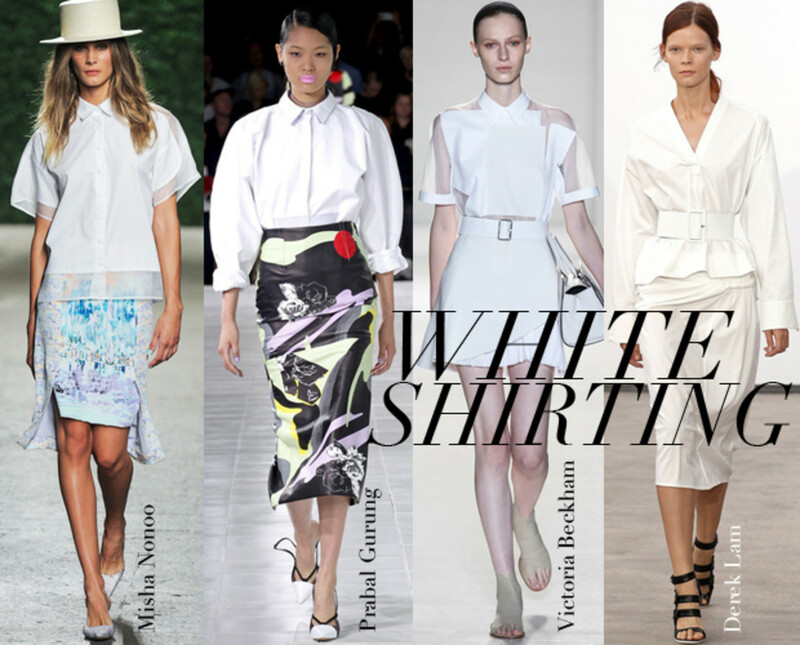 From sheer paneling to billowing sleeves, these shirts are anything but boring yet still maintain the white shirt motto of complete versatility. Casual ease is actually planned out: the more layers the better. In particular, I loved Theyskens&apos; Theory extreme take on this where you could see about five pieces all hitting the body at different points (especially the cropped bustier top over a tee), without looking bulky or contrived.